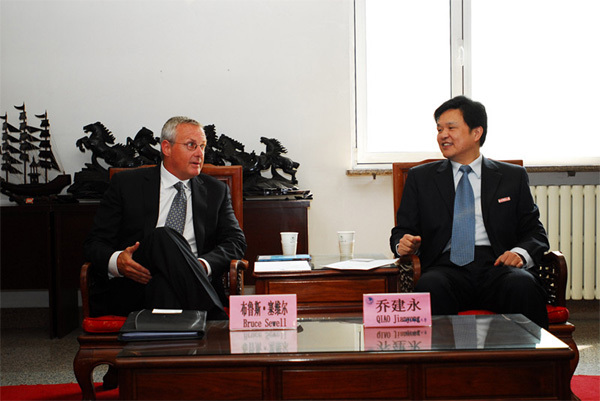 President QIAO Jianyong Met With Bruce Sewell, Senior Vice President of Apple Inc.
On April 9, President QIAO Jianyong met with Bruce Sewell, the Senior Vice President of Apple Inc.in BUPT. Xin Lingling, the Assistant to the President and the Director of General Office , Ren Chunxia, the Director of International Office, were also participated in the meeting. 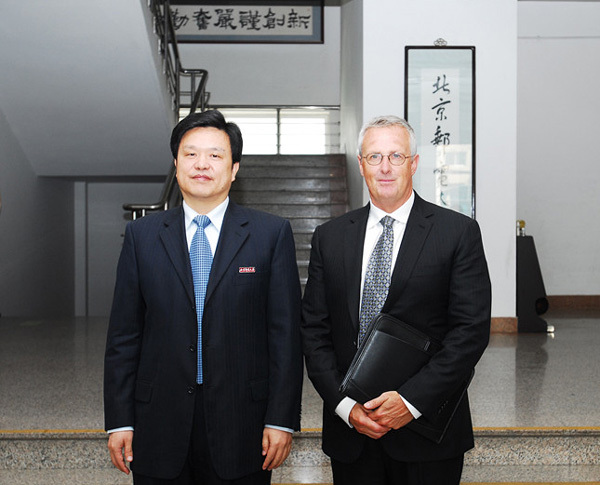 First of all, President Qiao extended his warm welcome to Mr. Sewell and briefly introduced him our university’s history, scientific research, professional features and academic structures. President Qiao pointed out that our university’s unique information culture will make a positive impact on Apple Inc.’s business development in China. Mr. Sewell offered his congratulations on a number of successes BUPT achieved in the last few years. Mr. Sewell expressed his wishes to expend development cooperation with BUPT in the areas of Scientific Research, Standards Setting and Academic Training. 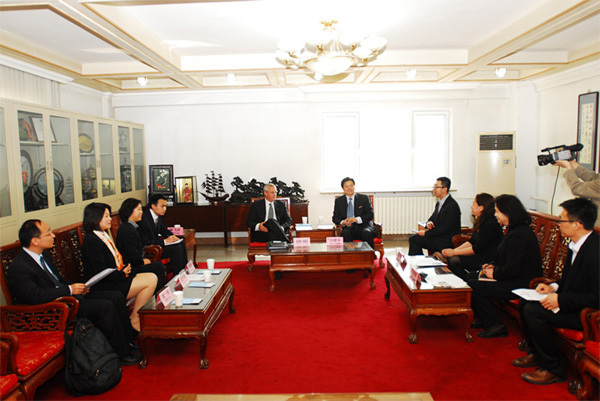 President Qiao and Mr. Sewell both agreed that the cooperation could start from academic communication, such as established a practice base for students, and to high-level. At the end, President Qiao indicated that next year (2014) is our 60th anniversary celebration of the founding, and welcome Mr. Sewell and his colleagues in Apple Inc. to participate in the celebration. 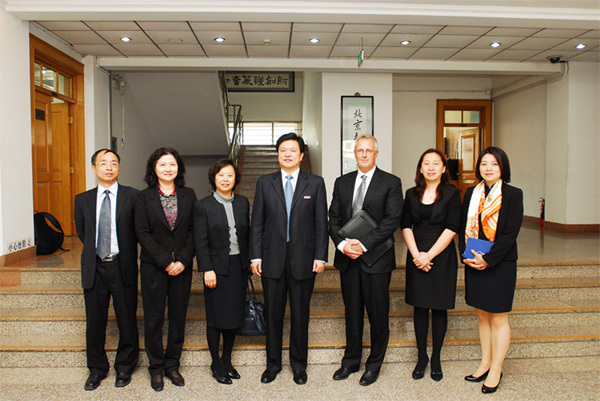 Bruce Sewell, Senior Vice President of Apple Inc., was accompanied by his colleague ZHANG Xinyue, the Director of Government Affair Office, ZHAO Xueyuan, the Senior Manager of Government Affair Office, YUAN Qing, the Senior Manager of Government Affair Office and CHEN Feihu, the Staff.